Hint: construct a table showing the cumulative potential energy loss oof the first few small masses added to the spring. From this table, deduce the equation for AEp for N added masses. 1.3 A thermometer manufacturing company is experiencing difficulty filling the capillary tubes with mercury. While under vacuum, a supply reservoir attached to the top of the tube is filled with mercury (left-hand diagram). However, the mercury is prevented from entering the mouth of the tube by the surface tension force of the curved liquid surface. Company engineers propose a simple solution: admit gas to the reservoir until the gas pressure adds sufficiently to the liquid head to overcome the surface tension force at the capillary mouth and drive the liquid into the capillary (right-hand diagram). (a) Write the pressure balance at the mercury surface at the top of the empty tube. 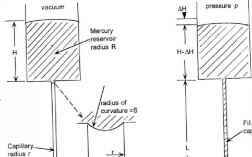 The surface tension creates a pressure difference across a curved liquid interface equal to 2y/S, where y is the surface tension and S is the radius of curvature of the surface, which must be equal to or larger than the radius of the capillary tube. As the gas pressure above the reservoir is increased, the radius of curvature of the liquid surface decreases. When it reaches a minimum value equal to the tube radius, the tube immediately fills with liquid. 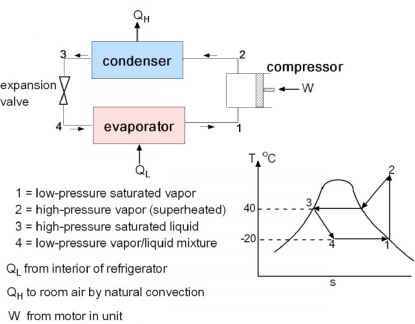 Develop the equation for the critical value of the external gas pressure, pcrit Determine the critical pressure for the following parameter values: p = 7000 kg/m3; y = 0.5 N/m; r = 10-4 m; L = 0.1 m; H = 0.02 m; R = 0.01 m.
(b) In transforming from the initial state to the final state, the surface area of the liquid increases. Since mercury does not wet the container walls, the energy needed to form the additional surface is the product of the increment in surface area and the surface tension (which can be viewed as a surface energy per unit area). This energy is supplied from two sources. The first is the change in the potential energy as mercury drops into the tube. The second is the work done by the external gas pressure on the liquid surface as it moved down during filling of the capillary. Calculate the numerical values of these work/energy components. Do they conserve energy? If not, why? What is the form of the "missing" energy? 1.4 An ideal gas is contained in an adiabatic cylinder fitted with a frictionless piston and a stop for the piston. The piston is attached to a rigid structure by a spring. Initially, the piston rests on stops; the spring is at its equilibrium length, so there is no force on piston. (b) Heat is added reversibly to the gas until the final volume is V2 = 0.00628 m3. 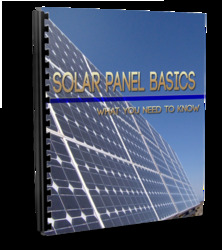 How much pV work is done by the system? Is the process isothermal? 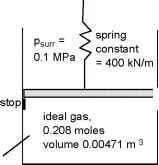 1.5 As shown in the p - T diagram below, a gas is expanded adiabatically from initial state 1 to a final pressure p2. If the process is reversible, the final state is 2. If the process is irreversible, the final state is 3. For each of the four possible explanations for this result, answer yes or no whether you think the explanation to be correct. Give your reason for each choice.